The sweet smell of basil in the garden made me crave homemade pesto and I could not resist adding it to my shrimp pasta with fresh feta and olives. 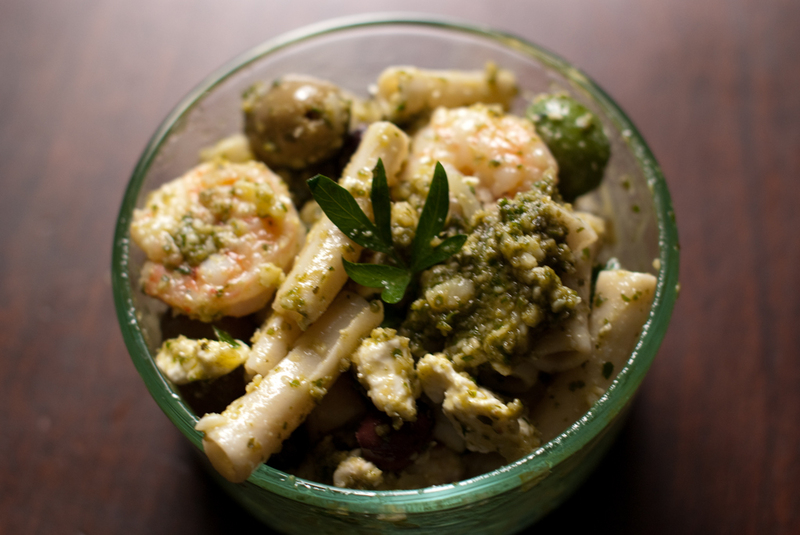 The basil pesto adds so much flavor and more antioxidants. Basil has anti-inflammatory effects, anti-bacterial properties, and can help with aging and your heart. Pine nuts are also a heart healthy food and can lower bad cholesterol and increase good cholesterol. Pine nuts may help you lose weight by curbing your appetite since they have so many nutrients to satisfy the body and contain pinolenic acid. Plus, pine nuts are gluten free. There are plenty of B vitamins in this dish so do not worry about missing them with the gluten free pasta. I love Tinkyada rice pasta. 1) Add olive oil to a skillet and saute the diced red or yellow onion and minced garlic. Add the shrimp and cook until pink. 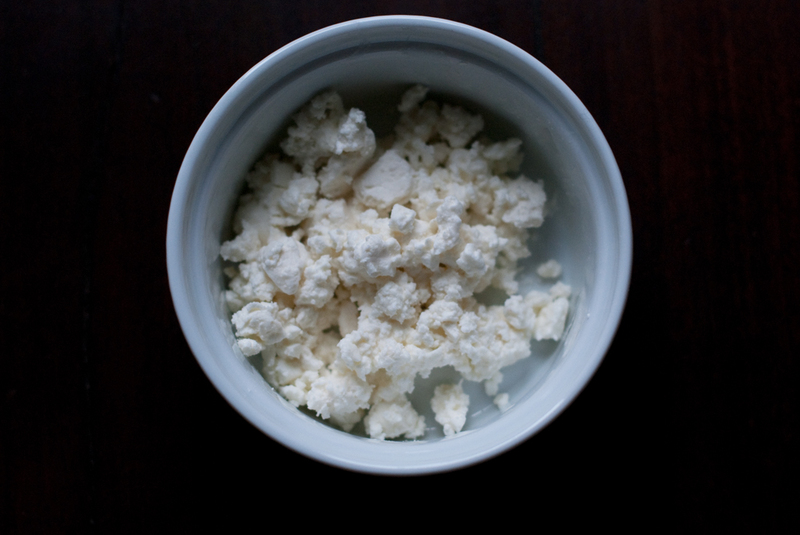 Remove and place into a serving bowl. 2) Boil some rice or whole wheat pasta. 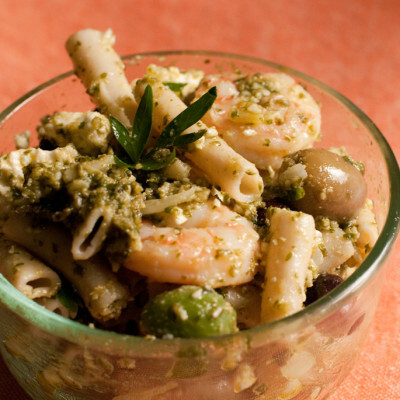 Run cold water on the pasta when fully cooked and throw the pasta on the shrimp and onions. 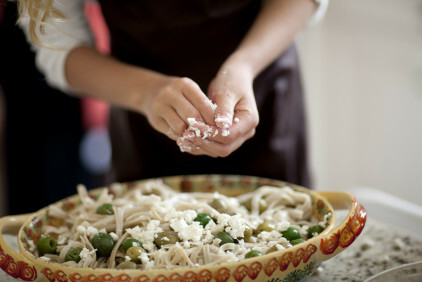 3) Crumble feta cheese on top and add olives. Sprinkle some Himalayan salt with some lemon zest. 4) Place 1 cup of fresh basil leaves in a cuisinart. Add 1/4 cup of olive oil, 1/4 of parmesan cheese, and a little less than a 1/4 cup of pine nuts. Chop until the pine nuts are in small chunks. Toss the basil pesto on the pasta. Why you want to eat this! Shrimp are high in Selenium, omega 3?s, protein. They may help lower blood pressure, raise your good cholesterol, fight cancer, can benefit Alzheimer patients in the early stages due to the DHA content. 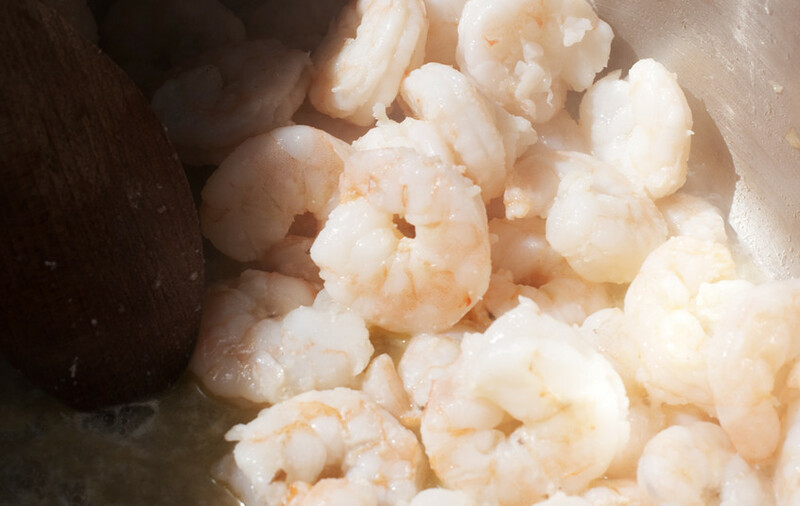 ?Shrimp are an excellent source of selenium, providing 64.2% of the daily value for this trace mineral in a 4-ounce serving. Accumulated evidence from prospective studies, intervention trials and studies on animal models of cancer have suggested a strong inverse correlation between selenium intake and cancer incidence. Selenium has been shown to induce DNA repair and synthesis in damaged cells, to inhibit the proliferation of cancer cells, and to induce their apoptosis, the self-destruct sequence the body uses to eliminate worn out or abnormal cells.? 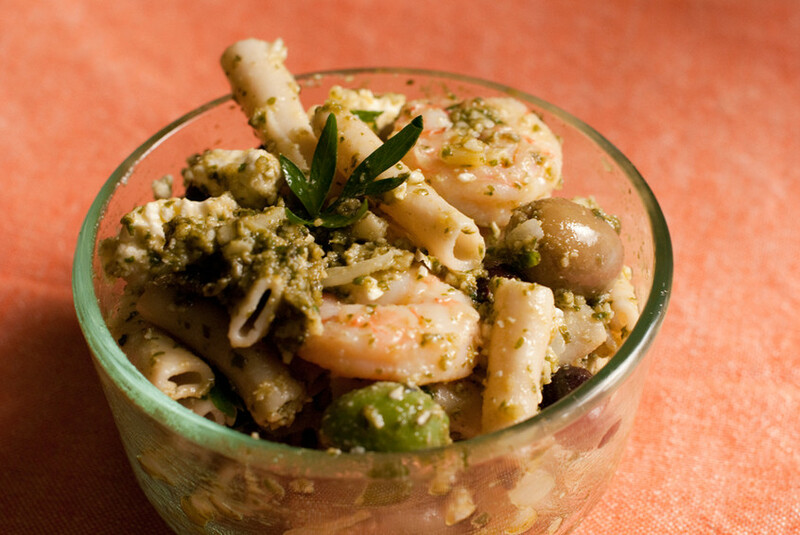 Rice pasta is Gluten Free and has a lower glycemic index which means it is better for blood sugar levels. Brown rice pasta is high in fiber and can aid in losing weight. Rice is a low calorie food and is high in protein, calcium, potassium, and phosphorus. All good things for your bones and muscles. Olive oil is a healthy fat rich in anti-oxidants to make your skin and body glow. “Pine nuts are rich in calories, vitamins, antioxidants and minerals and packed with numerous health promoting phyto-chemicals. The high caloric content of pines comes from their fats. However, the nuts are especially rich in mono-unsaturated fatty acids like oleic acid (18:1 undifferentiated fat) that helps to lower LDL or “bad cholesterol” and increase HDL or “good cholesterol” in the blood. Research studies suggest that Mediterranean diet, which is rich in monounsaturated fatty acids, helps to prevent coronary artery disease and strokes by favoring healthy blood lipid profile. Pine or cedar nuts contain essential fatty acid (?-6 fat) pinolenic acid. Recent research has shown its potential use in weight loss by curbing the appetite. Pinolenic acid causes the triggering of hunger suppressant enzymes cholecystokinin and glucagon-like peptide-1 (GLP-1) in the gut. In addition, pinolenic acid may have LDL-lowering properties by enhancing hepatic LDL uptake. Like almonds, pines are an excellent source of vitamin E; contain about 9.33 mg per 100 g (about 62% of RDA). Vitamin E is a powerful lipid soluble antioxidant, required for maintaining the integrity of cell membrane of mucus membranes and skin by protecting it from harmful oxygen free radicals. Furthermore, like almonds and peanuts, pines are free from gluten and therefore are a popular ingredient in the preparation of gluten free food formulas. Such formula preparations are in fact healthy alternatives in people with wheat food allergy and celiac disease. Pinenuts are excellent source of B-complex group of vitamins such as thiamin, riboflavin, niacin, pantothenic acid, vitamin B-6 (pyridoxine) and folates. These vitamins functions as co-factors for enzymes during cellular substrate metabolism.